To sum up. Firebird Embedded works well in Windows Azure Websites. If you need fully featured SQL database for zero extra-money with option to go hassle-free to full server if the need comes, it’s a way to go. Few days ago I wrote a post “Custom conventions in Entity Framework 6 helping Firebird“.Arthur Vickers from Entity Framework team had a good question whether it works also for columns and tables that are generated by Entity Framework (like join tables for M:N, FK columns (if not in model), etc.). And it actually does not. For this you have to dig a little bit deeper and use model-based convention. 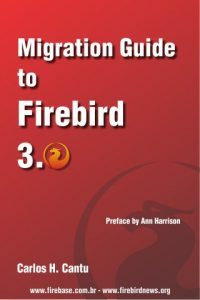 .NET Data provider : Firebird POSITION unexpected behavior? Question and Response of the day on the Stack Overflow firebird tag. Database triggers are a nice new feature added to Firebird in version 2.1. And as you can do a lot of stuff with them, sometimes you also might wanna to connect without firing these, especially if you made a mistake there and it’s forcibly closing your connection. To disable these, standard Firebird utilities have a new switches. But it boils down to the API itself, nothing magical. And if it’s in API, it could be FirebirdClient, right? In last few days among working on other bugs and my daily responsibilities I had a time to dig into this. And now also from .NET world we can use this feature. Recently viewed a great presentation by of Steve Sanderson (blog.stevensanderson.com) on using SPA with MVC4. I tired with FB 2.5 and it works great. I’ve written my first blog This shows how to change the default behavior from Code First to Database First with these new technologies. I just wanted to contribute the list.